This article was contributed by Jocelyn Tan Xin Yi. On 18th of October, JC3 students from PU-RCSI organized a JC1-JC3 Mixer Night at The Atmosphere in hopes of strengthening the bond between JC1 and JC3 students. More than 60 students from both cohorts were present. 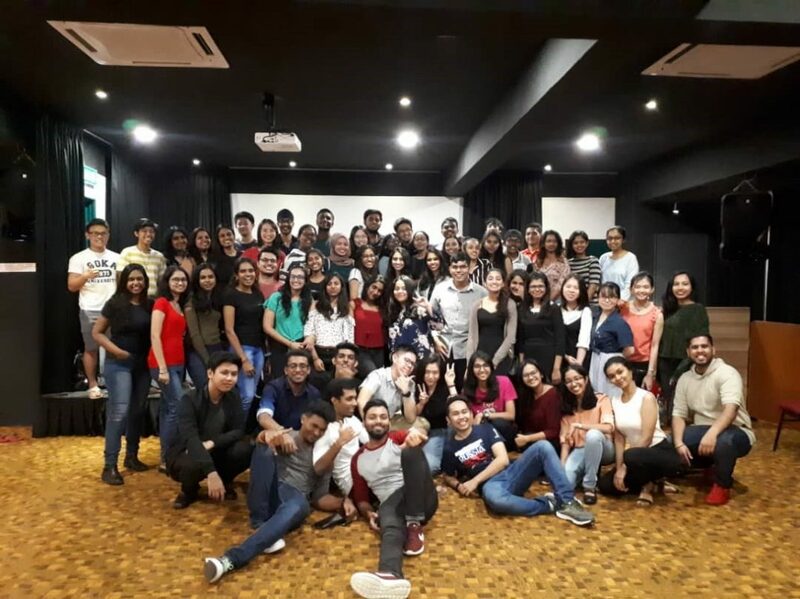 All attendees enjoyed a variety of food ranging from pizza to doughnuts as well as fun and interactive games such as beverage pong, drama session, musical chairs and charades. The night ended with a mini dance session where everyone jammed along the music played by our DJ of the night. All in all, this was a fun initiative suggested by PU-RCSI Student Support and we would like to extend our most sincere gratitude to the Dean, Prof. Michael Larvin, for all the help we received, Dr. Warren for collecting funds from the faculty, Dr. Thiru for guiding us and to the entire faculty who showed their support and donated money for the event. This event wouldn’t have been a success if it wasn’t for this entire team of lecturers and faculty members and we greatly appreciate all the support we received. We hope that the Mixer night can involve more students in the future and also become a tradition of PU-RCSI.